Dorkapalooza. That’s what Bill Simmons called the Sloan Sports Analytics Conference in 2009. Back then, a bunch of mathematically inclined dudes like Dean Oliver and John Hollinger debated advanced stats in a classroom. However, things have changed. Simmons’ article made the conference popular among more main stream sports fans. The 2012 version was Suitapalooza. The average attendee was a few months from earning an MBA, dressed in a suit and spent the conference begging for a job in the sports world. 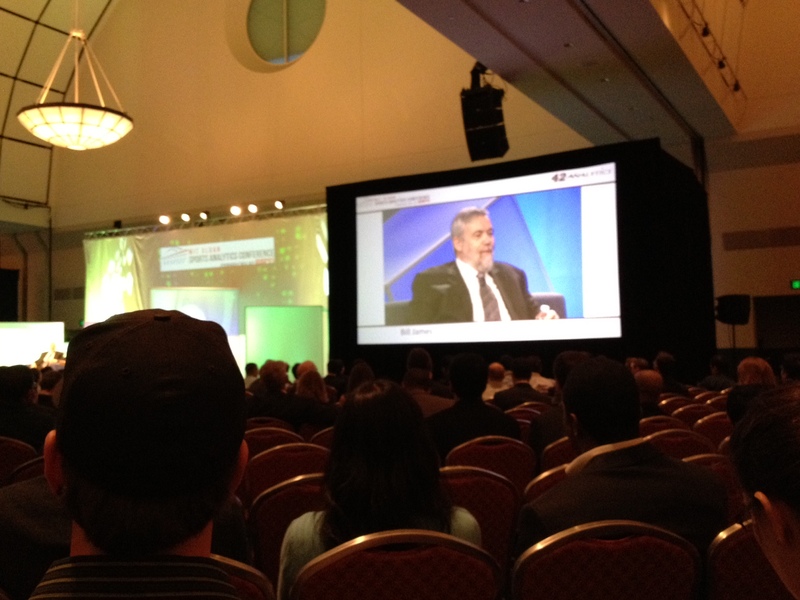 This year, they even stuffed the research paper talks in the far corner of the Hynes convention center in Boston. I didn’t go for the math; I went to talk with people in the halls. Here is my very personal take on the 2012 conference. 9. The football analytics panel. Disappointing. Can it really be a football analytics panel when no one says the words “expected points”? It didn’t even come up when they discussed Bill Belichick’s famous decision to go for it on 4th and 2 from their own 28 against the Colts. Brian Burke of Advanced NFL Stats used this concept to show that Belichick’s decision was reasonable. Expected points is the cornerstone of football analytics, a concept we explained in this article. No one mentioned it once. 8. Total QBR. I left ESPN’s talk about their Total Quarterback Rating more impressed than when I arrived. Unlike the football analytics panel, they mentioned and even used the concept of expected points. Moreover, the team with a higher Total QBR wins the game 86.8% of the time, a higher percentage than with the traditional quarterback rating. However, they also count clutch plays more, even though no one has ever found statistical evidence of clutch hitting in baseball, a sport with a much larger sample of events. Talking heads like Trent Dilfer insisted on the inclusion of this clutch factor. 7. The line for Bill Simmons. There was no line for the food at lunch. There wasn’t even a line for drinks at the cocktail reception, most likely because each attendee was limited to single free drink. However, there was a long line to get Simmons to sign the copy of Grantland that came in the goodies bag. Just further evidence how his column in 2009 has grown this conference to over 2200 attendees this year. 6. Moneyball. The stage behind many of the panels showed the original cover of Moneyball, the classic book in which Michael Lewis brought Bill James and baseball analytics mainstream. Bill Simmons may have popularized this conference, but Michael Lewis brought numbers in sports from weird hobby to real job possibility for the hundreds of MBA students. Without Moneyball, Sloan sports analytics might refer to an elective class instead of huge conference sponsored by ESPN. 5. Dean Oliver. A few month ago, my friend Chris Ritchie saw my copy of Basketball on Paper on my shelf. He mentioned that Dean Oliver, the author, used to work at his environmental engineering firm and had even interviewed him before leaving for the sports world. Oliver is now part of the analytics group at ESPN, and I told him this story at the conference. He didn’t remember Chris, but he certainly remembers taking time off to write Basketball on Paper, the seminal work on basketball analytics. Dean showed genuine interest in The Power Rank, particularly how our college basketball rankings contrasted with their own Basketball Power Index. 4. Chad Millman. This author of The Odds and the gambling blog on ESPN recently became editor of ESPN The Magazine. He’s done an amazing job with improving the writing in the magazine. The recent analytics issue features excellent stories on how Brandon McCarthy used analytics to save his pitching career and marry a model (see her on the cover) and how Floyd Fielding earns six figures as an old fashion bookie. I caught Chad in the hallway and complimented him on this work at the magazine. He asked for more features on The Power Rank. They’re coming, Chad. Look for a makeover this upcoming college football season. 3. The NFL’s sophisticated technology. The NFL tracks who takes the field on every play. To do this, they have people take pictures from a few different angles around the stadium. The images are transferred to a human team that writes down the identity of each player by hand. Are you kidding me? Commissioner Goodell, there’s been a recent invention called the personal computer. It sits on your desk and can analyze images. Some smart people in Silicon Valley have already started applying this invention to sports video analysis. 2. Training the German national team. At last year’s conference, Mark Verstegen of Athletes’ Performance was on the opening panel that discussed the 10,000 hours in developing an elite athlete. Only later did I learn that Verstegen was the man Jurgen Klinsmann hired to train the German national team before the 2010 World Cup. I’ve always been interested in the fuzzy, nonscientific side of athletic performance. For example, Born to Run by Christopher McDougall discusses how happiness and joy carries the Tarahumara Indians of Mexico through hundreds of miles of running. Verstegen also believes in this fuzzy side of athletic performance, as his team worked with the Germans to build a culture that supported their fitness program. I didn’t get many details, but elite athletic training is more than just science. 1. Shaking hands with Bill James. This conference would not exist with Bill James. Enough said. For more content, follow The Power Rank on Twitter. —College football’s incredibly slow progress towards a playoff. 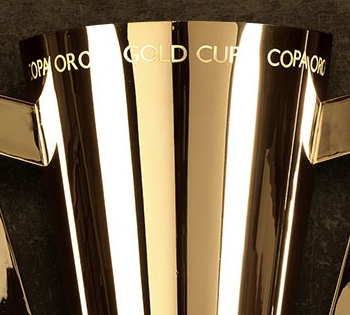 This week we pause from our regular MLS coverage to get up to speed on the Gold Cup. Not only is this the most important international soccer tournament in North America, but with 32 MLS players participating, it says a lot about how important the league has become to player development. Expect it’s importance to increase as the league grows and teams increasingly use the academy system to identify and hone talent. 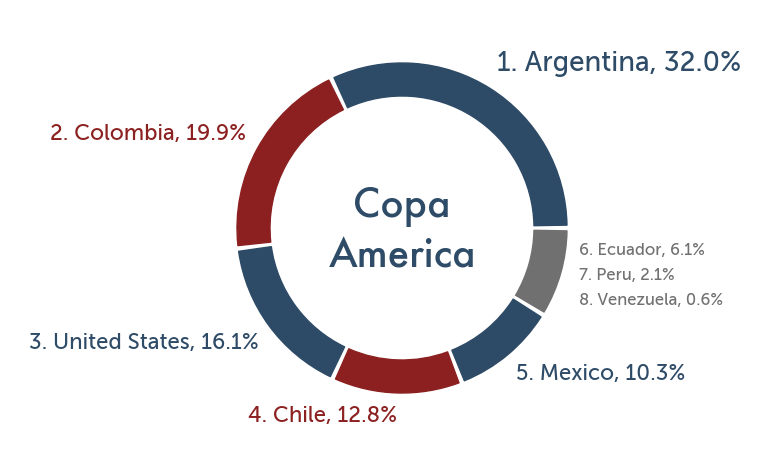 Each region of FIFA has a tournament every several years to determine regional champions, and the Gold Cup is the North American (CONCACAF) championship. The competition is held every other year, before and after the World Cup. 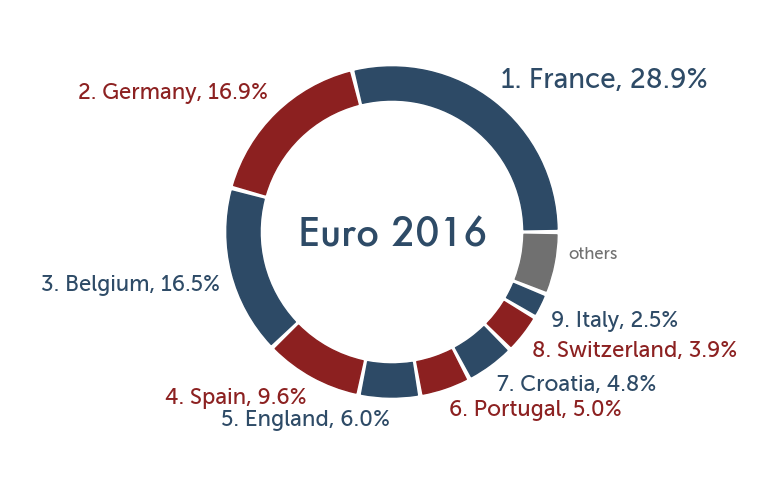 Most importantly, winning the cup following a World Cup year earns the winner a spot in the FIFA Confederations tournament. This event takes place in the next World Cup host nation as a warm-up prior to the World Cup the following year. Team USA’s runner-up performance in the 2009 Confederations Cup is one of the high water marks of American soccer. Because so much is riding on it, every team in CONCACAF has sent their best, making this the toughest tournament for the US Men’s National Team until either the World Cup or the next Confederations Cup. 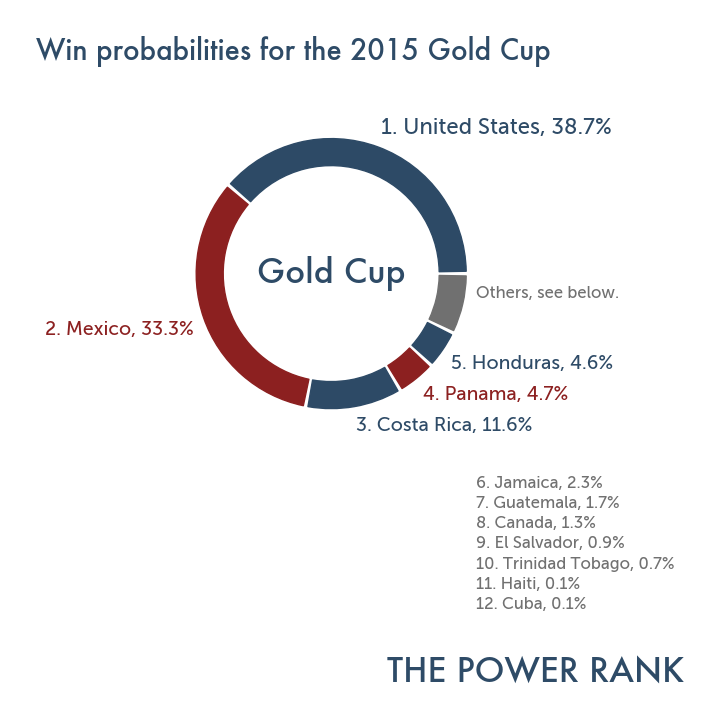 The Gold Cup tournament is already considered to be somewhat of a disappointment for Team USA. For the first time, the American’s failed to win their group stage because they suffered their first ever group stage loss to Panama. However, for fans of the American team there have been some positives. The defense has long been a source of problems, but in four games only one goal has been allowed in the run of play (a second was scored on a foolish penalty, both against Panama). While Guadaloupe and Jamaica each had a good chance early on, the American defense was much tighter overall and less vulnerable to speed and defense-splitting through balls. Jamaica in particular brought this game to the Yanks, but they were ready for it and recorded a clean sheet against a good side. Perhaps the best change that’s manifested itself during the Gold Cup is that Team USA finally has sense of itself. The game plan is clear and doesn’t change as substitutions are made. This allows the players to anticipate where their teammates will be and how they’ll move; something absolutely critical in soccer as there’s no time to call plays. During the World Cup, every game had a different game plan and different personnel, resulting in no coherent soccer and almost always an early substitution to try to right the ship. In this tournament, there’s only been one substitution before half-time, and it was as a result of injury to forward Jozy Altidore. Which brings me to the main deficiency of the current US squad…. While the midfield and defense have played well (aside from one half against Panama when they looked tired), the finishing ability of the squad has been lacking. In four games, they have only had two real quality strikes: Clint Dempsey against Canada and Jozy Altidore against Guadaloupe. Landon Donovan has been more involved in ball movement than striking, and the other attacking players have misplaced shot after shot. Against Guadaloupe, we could have scored more than 5 goals, and even after a miserable half against Panama, we missed two easy scoring chances that would have won the game. This has to be the biggest area of concern for American soccer with a rematch against Panama in the Gold Cup semis on Wednesday, hopefully followed by a final against a Mexican side that has no trouble finding the back of the net. So until next time: USA! USA! USA!